Sept 30th 2010 - Our first clue was the Qomolongma Ticket Check Station. Next indicator - a brown sign that says Rongpu Monastery. The next thing we know, there she is ... standing tall and looking majestic. The goddess who never fails to charm any man to fall under her spell. A challenging lady to conquer. Definitely not for the fainthearted. Chomolongma, Goddess Mother of the Earth also known as Mt Everest. Driving past Rongpu for another 5kms we finally arrived at our accommodation the tent hotels, a great place to stay with a stunning view of the mountain. That is as far as land cruisers and other travel agency vehicles can go. 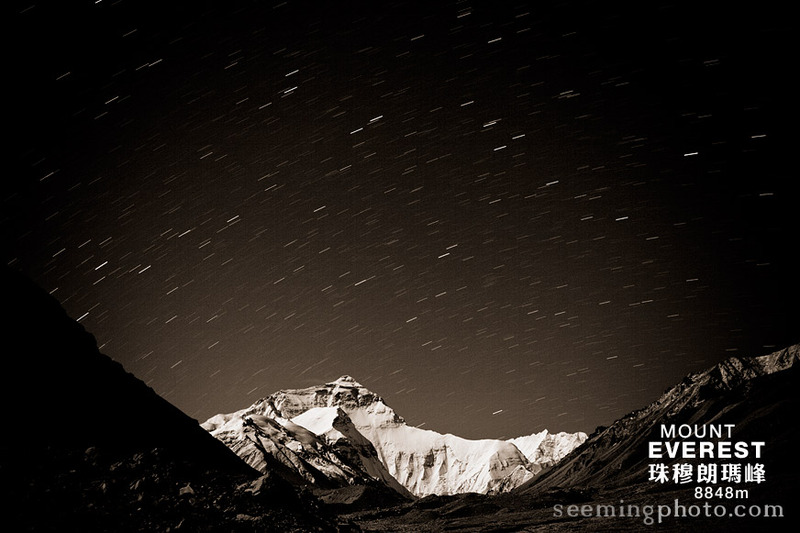 At least 30 different Tibetan tents were set up, equipped with a stove and plenty of blankets. Despite being wrapped like spring rolls in layers and layers of blanket some of us were still kept awake the entire night due to the freezing cold and high altitude. The area has become so commercialized that there are now numerous shops selling Tibetan souvenirs. From our tent we could see there is one tent that stands out amongst others. Stepping closer to the crowded tent we saw a green sign with yellow printed words - “China Post”. The sunset and sunrise over Everest, is something that cannot be missed. Seeing the first rays of sun hit the North Face makes getting up in the cold worth it. The trip is not complete without a visit to the Everest base camp. Have you been on a motor powered pony cart with frequent bouncing up and down? 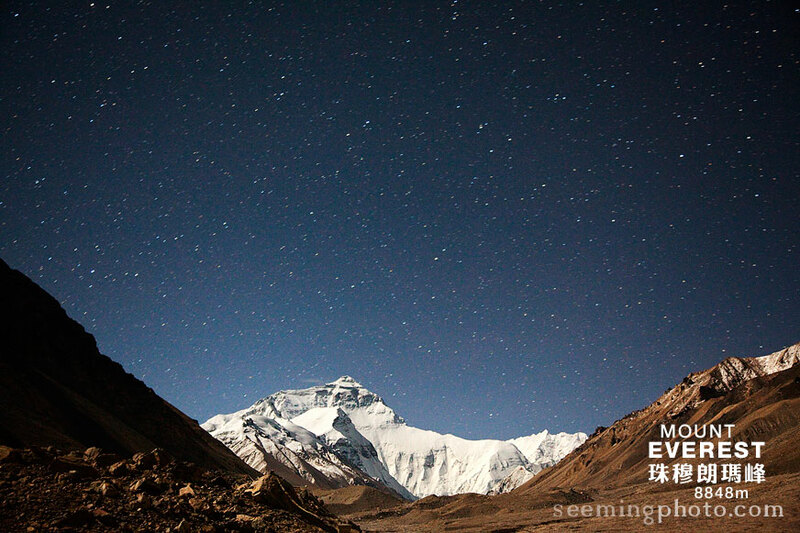 Just pay RMB25 and hop on the green bus to base camp. You really need to ensure that you have a place on the bus though especially when you are carrying a camera bag that weights a tonne. Besides having to survive the cold and getting used to the high altitude, we had other challenge as well. When nature calls, at times we had to take a deep breath, cover the nose and walk into the zinc roof structure to face the tower of overflowing faeces together with the overpowering aroma. Like what most Everest tourist enthusiast do, we need to mark our presence. What better to do it than to have our picture taken next to a stone slab that says "Mt Qomolongma Base Camp 5200m” followed with carving our names on a giant rock which was a short climb up a pile of stones. The usual boring routine but an effective one when you look back at the photos. Oct 1st - An important date for the Chinese, celebrating National Day in honour of the founding of the People's Republic of China back in 1949. People were gathering for group photos and there was even video coverage from 3 local tv stations. We should have just jumped in… who knows, we might appear on china tv. It is time we bid adieus to the fair lady. It was a pleasure meeting you.